Some prefer their spa retreats to have a setting that’s achingly modern, others prefer them attractively retro. 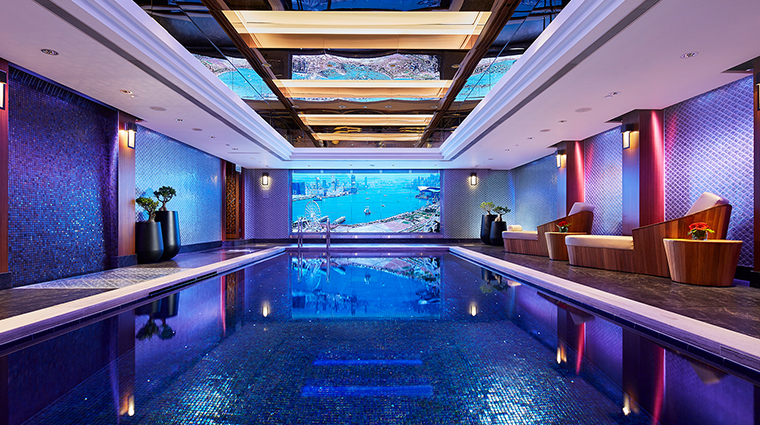 The Mandarin Spa, at Mandarin Oriental, Hong Kong, delivers a bit of both. It whispers 1930s Shanghai-era style, with its dark wood antiques and lacquer accents, but its eight treatment rooms are more contemporary.The two suites charm with just a hint of chinoiserie. Traditional Chinese therapy features strongly in the spa’s philosophy, with trained practitioners on hand to prescribe treatments to suit your needs, such as acupuncture and hot cupping. 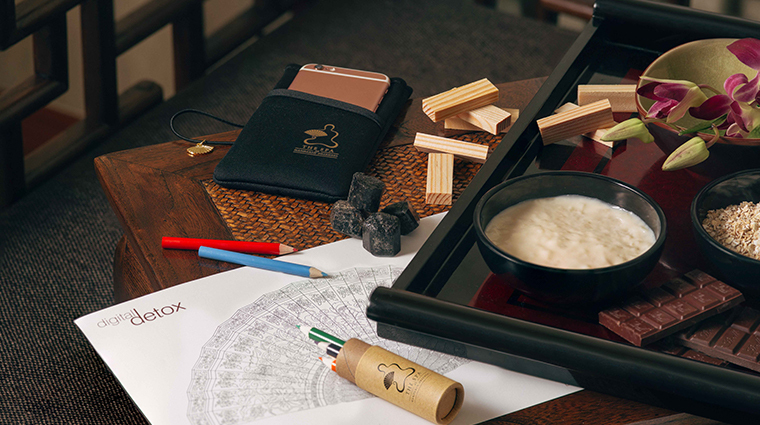 Like all Mandarin Oriental spas, visitors book a block of time rather than a service, which allows you to chose your treatment on a whim when you arrive. Packages can last a day, and pre- or post-treatment, the wet area is a relaxing place to test out the rain showers, fragrant steam room and the heated tepidariums. 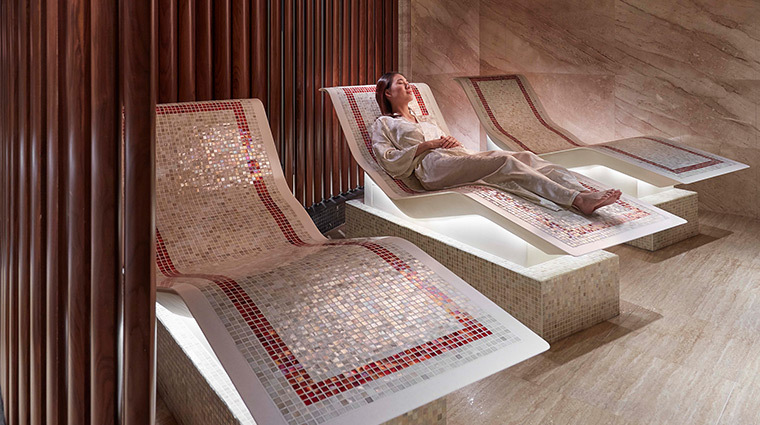 Besides the over-the-top pampering and legendary hospitality that defines The Mandarin Spa, the premier facility aims to put guests on a personalized journey towards wellbeing. Treatments use the healing philosophies of traditional Chinese medicine as well as contemporary techniques that are oh-so personalized to your very own needs. 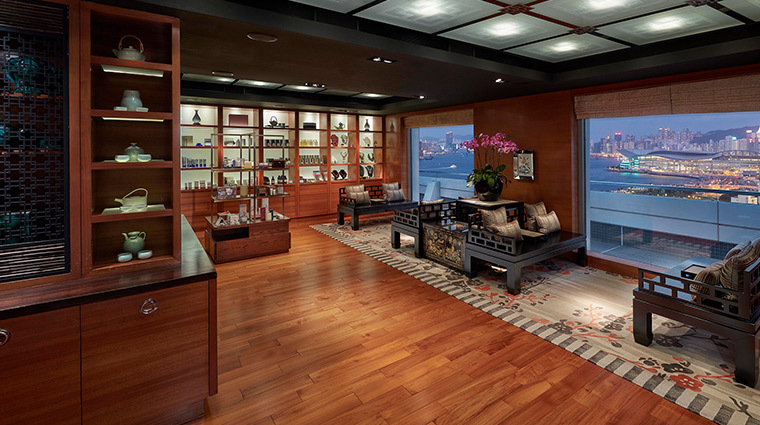 We found the haute haven inside the Hong Kong escape to be tranquil and accommodating. The staff beyond dedicated to the spa’s mission. As part of the spa’s wellness philosophy, the fitness center offers a TRX suspension trainer to help you achieve stability, flexibility and strength, an InBody body composition analyzer, personal training sessions, lifestyle and fitness consultations and even private aquatic training. A fully credited in-house Chinese doctor performs acupuncture, bone-setting and hot cupping services, while Indian-inspired Ayurveda treatments are conducted by specially trained therapists. If it’s serenity you’re after, you’ll want to call The Mandarin Spa directly for an appointment. If you are not staying at the hotel, you must book a package or buy a day pass to take advantage of the Technogym Excite cardio and weightlifting equipment — the same goes for the fabulous indoor pool. You’ll want to arrive at least 45 minutes in advance to use the spa’s facilities to unwind and unplug before your treatment. To join the skilled spa team, therapists must have recognized certificates to perform services. They are then initiated into the rich culture and exacting principles of The Mandarin Spa with a 12-week training course (taken over the first year of employment with the spa). For the ultimate personalization experience, book the time ritual, a two or three hour block of time. When you arrive at the spa, you will consult with your therapist to choose the services that best meet your needs on that very day. The folks at The Mandarin Spa are well aware of the über-healing properties associated with aromatherapy and offer two specific services in this popular spa genre. Acupressure is a signature of traditional Chinese healing techniques, and The Mandarin Spa expertly and seamlessly incorporates the practice into many of its treatments. The aromatherapy massage uses the spa’s signature essential oils and killer combination of Eastern and Western massage techniques to leave you loose-limbed and stress free. The customized aromatherapy facial begins with a thorough facial assessment by your therapist and is followed by the application of the spa’s Aromatherapy Associates products to address the needs of your skin. Keep in mind that although they’re not specifically labeled as aromatherapy, The Mandarin Spa also uses essential oils and natural fragrances in many of its bespoke treatments. You are more than encouraged to lounge around in the luxurious facilities designed to round out the experience and put you on the path to overall equilibrium. If it’s neat and tidy nails you’re after, head to The Mandarin Salon, a sleek, modern spot that offers the famous Shanhainese pedicure, a serious solution to the battle-weary feet of a frequent traveler. The Mandarin Barber feels just like an elegant men’s social club, with original barber’s chairs, dark wood accents and engraved glass paneling. Men can luxuriate in an old-fashioned wet shave, hair styling services and pedicures held in private rooms. The hotel’s gym works in tandem with The Mandarin Spa — both focus on holistic wellbeing and offer a slew of ways to achieve it.